The labor-intensive activities undertaken by African farmers in the production and postharvest processing of cassava justify mechanization. 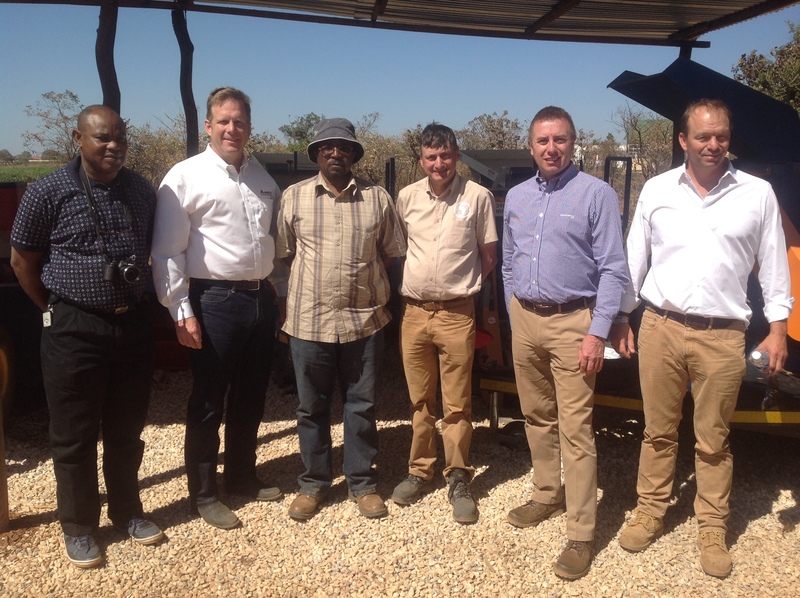 Impressed by IITA’s work on cassava, senior managers from AGCO International GmbH visited IITA-Zambia on 29 May to propose a partnership to ease the labor stress by developing mechanized options for production, postharvest handling, processing, and storage. AGCO is a global leader in the design, manufacture, and distribution of agricultural equipment. It recently opened a farm in Lusaka, Zambia, with state-of-the-art facilities to train smallholder and commercial farmers, dealers, and distributors on new technologies for sustainable agricultural production. The AGCO team included Rob Smith, Senior Vice President and General Manager for Europe, Africa, and the Middle East; Steve Clarke, Vice President, Strategic Marketing and Brand Governance; Mark More, Manager, Business Process and Agricultural Development; and Jason Burbidge, General Manager of the Future Farm. Dr David Chikoye, Director, IITA-Southern Africa, and Dr Oladeji Alamu welcomed the visitors. Dr Chikoye highlighted IITA’s value chain activities on the six mandate crops, capacity development, and youth in agriculture and made a presentation on the plans for developing the permanent site for IITA-Southern Africa Research and Administration Hub. that high quality cassava flour can replace up to 40% of wheat flour in bread.” The initial contact with AGCO was made by IITA board member Hans Joehr. AGCO visitors at the IITA-Zambia facilities.